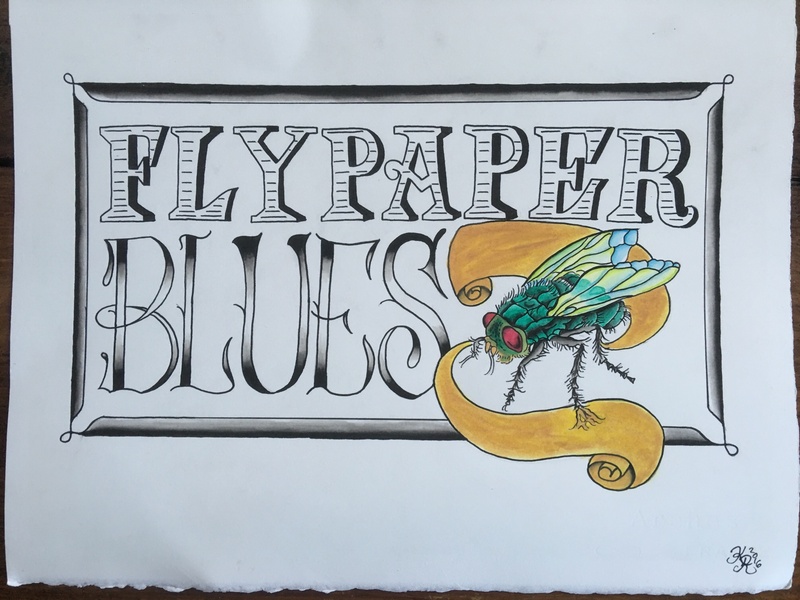 Trevor Bridge was one of four songwriters in local bluegrass/Americana ensemble Bluetail Flies, and he’d been working on a 12-song album called Flypaper Blues to present to the group. They broke up before he got the chance. When Bluetail Flies backup singer Lauren Wahl asked Bridge if he wanted to do something else, he told her about the album. It turned out that Wahl, who wasn’t one of the four songwriters in Bluetail Flies, had been hoarding material, as well—upward of 30 songs. The band started out with most of the planned songs from Bridge’s album, and some of Wahl’s material. Two other members of Bluetail Flies, Darlene Berner-Norman and Devon Pearse, joined them, as well as new drummer Cyril Michel. The name just kind of stuck, no pun intended, as the band sings a lot about the blues of everyday life. “You got to laugh at all our individual burdens and things that make life challenging and give you the desire to go and have fun, and enjoy people and music,” Bridge says.